President Trump’s administration appears to have a new strategy for the Middle East, which started with the announcement of the US withdrawal from Syria. This initial move was interpreted as a green light for Turkey to substitute the American presence in Syria, and was also seen as a way to reduce the tensions that had developed between the US and Turkey which had been having negative effects on the Turkish economy. The tensions had also triggered a series of events that had pushed Turkey closer to Russia, to the point where consideration was given to the installation of Russian defense missiles counter to NATO interests. Turkey understands that it cannot be close to both the US and Russia, so this move by the US administration is to normalize relations with Turkey while forcing them to step back from improved relations with Russia and Iran. 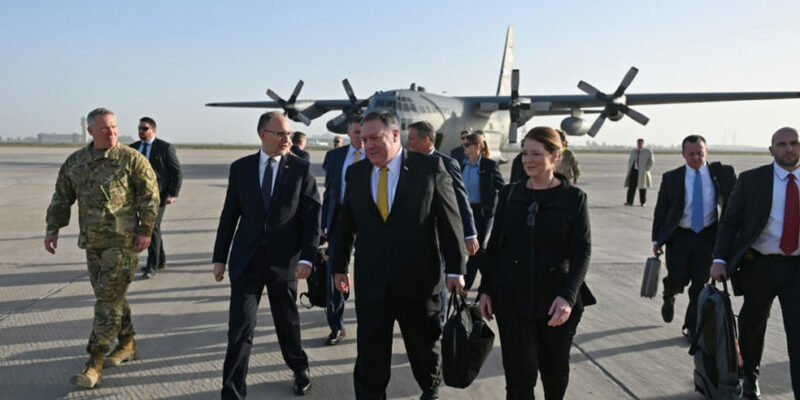 The new approach from the US appears to be part of a plan to restore faith amongst its allies, many of whom are skeptical of US policy with the continuous changes in personnel in key positions. Another example of this is the US obligation to assure the Kurds with concrete steps rather than just rhetoric, despite it being more practical for the Kurds to coordinate with Damascus and Russia. A Kurdish request to impose a no-fly zone in the north would be a clever tactical step, as this would prevent Turkey from launching air strikes against the Kurds, which would also create a serious risk in relations with Russia. The US withdrawal from Syria will create a power imbalance increasing the risks of danger in the north of Syria as terrorist groups and other militias are likely to seize the opportunity to improve their positions. The resulting chaos in the north could impact the security situation across the rest of the country. If the US withdrawal includes removal of troops from the Al-Tanf military base on the border between Syria and Iraq, close to the Jordanian border, which is dedicated to the fight against IS, then the risks could also spread to Jordan. While the US insists that their immediate plans do not include a withdrawal from Al-Tanf, it could be part of their plans for the future. US strategy in the region once again has Iran as its main target. While previously it has been through economic pressure and sanctions, and trying to contain the Iranian presence in Syria and Iraq, the strategy until now has lacked any pragmatic approach on the ground. Over the last few years Syria has effectively been suspended from the Arab League, with almost no Arab engagement or approach in Syria, effectively creating a situation where the Syrians have no option other than to maintain their alliance with Iran. The new approach provides Syria with alternative options for allies, especially from Arab countries, such as Egypt, UAE which logically will lead to normalize the relations between Syria and Saud Arabia. Given the level of skepticism that most US allies have at the moment, the new US strategy should be reassuring for its allies. However, this also requires US allies to begin reconsidering their understanding of what an alliance with the US means now, as it can no longer involve a complete dependency on them. While America’s declared objectives are clear, their approach demonstrates that economic factors are crucial to this administration, and that countries like Jordan need a new approach as their privileged positions are no longer guaranteed.